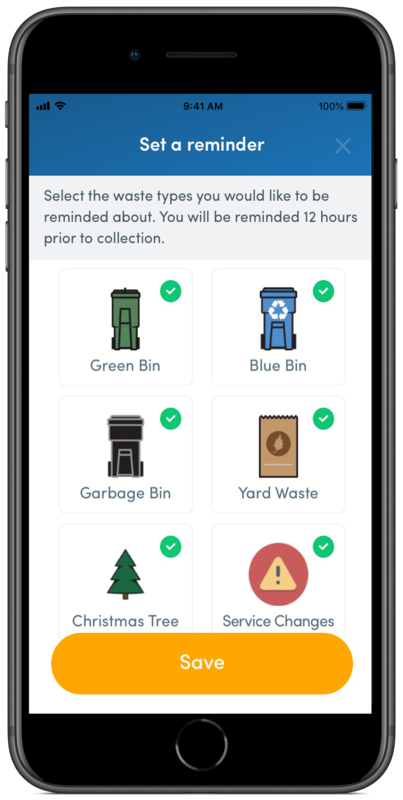 Never miss your garbage or recycling day again! 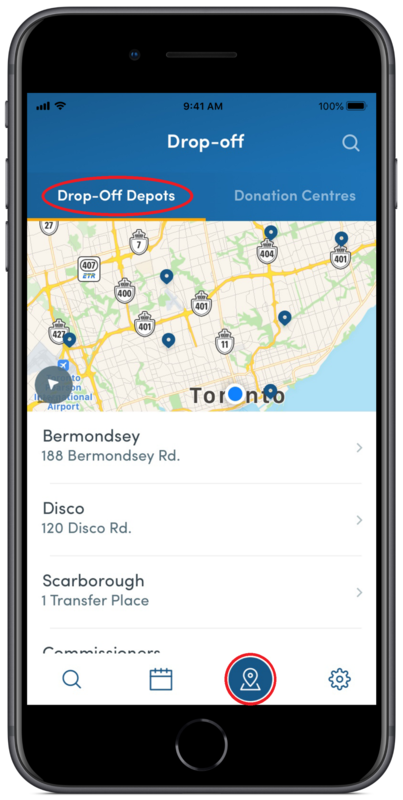 Find out what waste items go where, what bins to put out when, and where to donate used items or find a City Drop-off Depot right from your smartphone or tablet with the new TOwaste app. 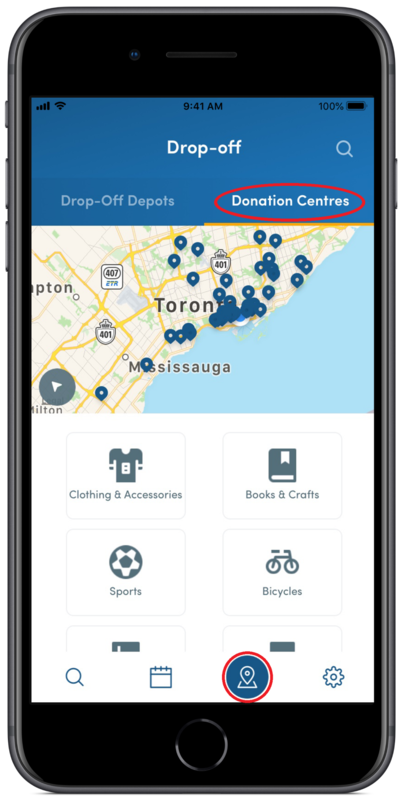 A map of locations where you can donate or buy used items. 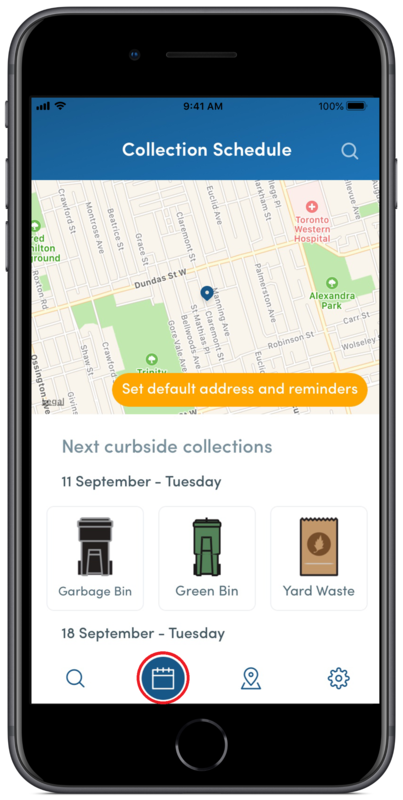 *Please note: the collection schedule function is only available for residents with day-time curbside collection. 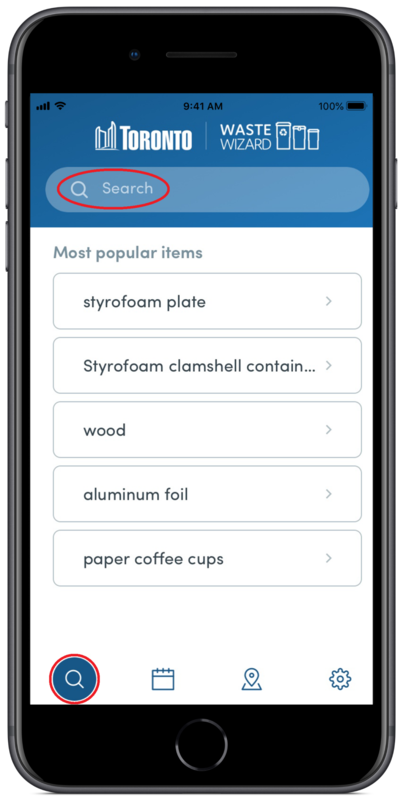 Use the icons at the bottom of the app page to navigate to the different functions. 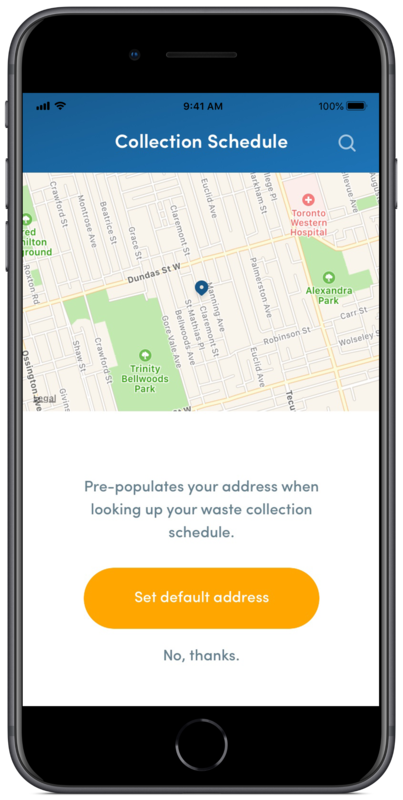 The app does not collect the address information input by users for collection schedules. Address information is stored within the phone only. 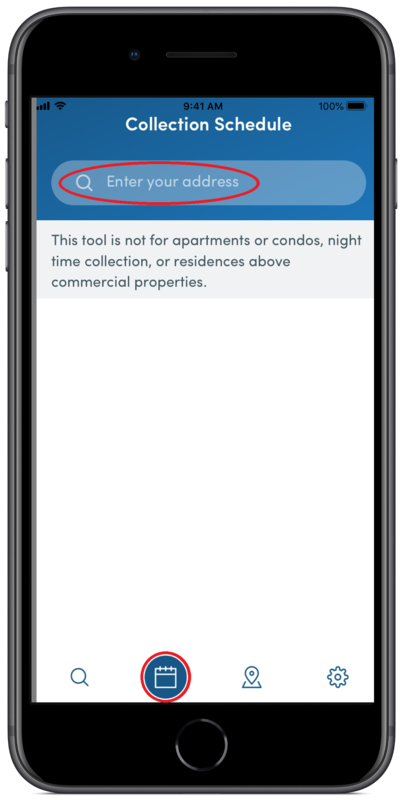 The app does not collect geo-location information when the user allows it to “Use Location” services. 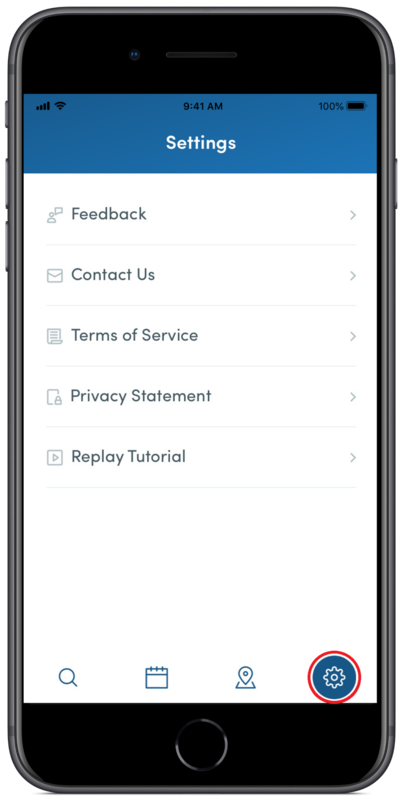 In-app notifications are handled within the app itself based on the default address saved by a user. The City does not collect this information. 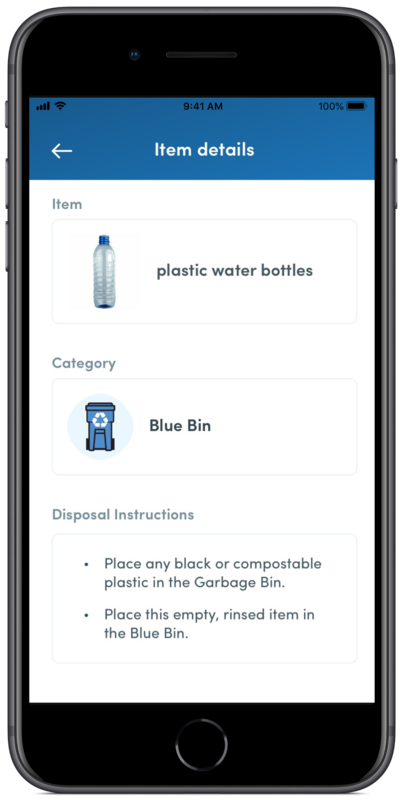 The City does track how the app is used, how often Waste Wizard items are looked up, what items are the most popular, which items could not be found and how many users are engaged with the different features of the app. This user engagement data is anonymous, and cannot be traced back to a user.